Unethical behaviour has high social and financial costs — for companies and countries alike, writes Professor Deon Rossouw, CEO of the Ethics Institute of South Africa. In January this year, JP Morgan, the investment bank, reported a fall of 7.3% in fourth-quarter earnings, at least in part as a result of the $1.1 billion in after-tax income it had to pay in legal expenses. These expenses included settlements regarding its failure to report suspicions about the viability of funds administered by Ponzi fraudster, Bernard Madoff. This latest charge was in addition to the $14.8 billion the bank paid out in fines and settlements in 2013. These are substantial financial losses indeed, but I want to argue that companies that practice unethical conduct also face even more severe, long-term consequences, consequences that are hidden but that may in fact negatively impact their long-term profitability—and even their sustainability. The first of these consequences is obviously reputational damage, which affects a company’s ability to attract new and repeat business. In one study cited by Professor Robert Cialdini, 80 percent of respondents said that their perception of a company’s ethical stance influenced their propensity to purchase from it—and even to buy its stock (74%). Even more chilling, an organisation might find it almost impossible to recover from a lack of stakeholder trust linked to dishonesty. Dishonest conduct can also render a business more liable to continued scrutiny by regulators and other stakeholders. In fact, increased scrutiny might even bring new unethical behaviour to light. Unethical behaviour also creates a plethora of problems related to employees and employee productivity. Honest employees will battle to work in an unethical business environment, with increased absenteeism and lack of productivity the inevitable result. A recent Harvard Business School study showed, for example, that corruption in an organisation has a marked negative impact on employee morale. And employee morale is directly linked to employee commitment and ultimately to company performance. An unethical work environment can provoke honest employees to leave. In situations where unethical behaviour is rife, companies often opt for intrusive surveillance within the workplace, and an increasingly elaborate framework of rules. Such an approach represents not only a significant direct extra cost to the business, but also contributes to a paranoid, adversarial and thus dysfunctional work environment: one that promotes poor productivity and attempts by employees to assert their freedom by acting in ways that are hostile towards the company’s best interests. 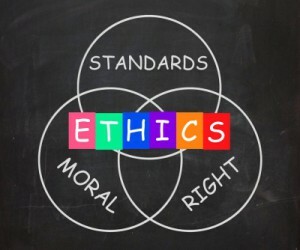 Rules and enhanced surveillance are in fact characteristics of a fear-based ethical culture. It should be recognised that such a culture actually undermines individual capacity to take responsibility for one’s own acts, creating an environment in which what is not forbidden is allowed. It also sets people up to find ways around the rules, in turn leading to the proliferation of more rules, more surveillance—and more costs. 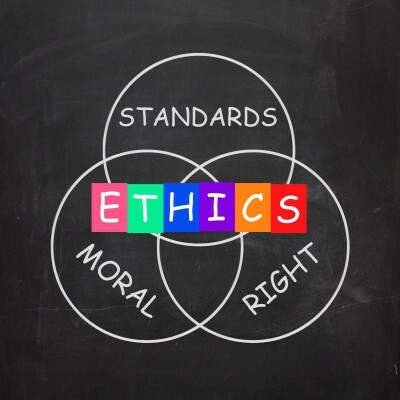 As speaker after speaker at the recent 4th Annual Ethics Conference made clear, the only way to build genuine ethical organisations is by instilling and living a conviction-based ethical culture. Leadership has a key role play in this area, but it’s not everything: we need to have deeper conversations - on all levels of the organisation - in order to reach this goal. It’s one that is neither simple nor easy to achieve, but it is possible to do. But the price of inaction, both for companies and for society as a whole, will be high—both in financial and other costs. We have, in fact, no choice.